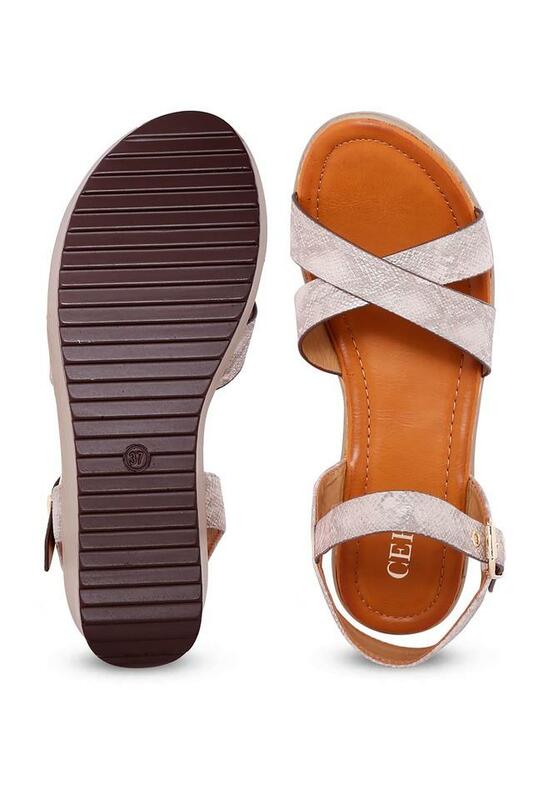 Add some glam to your outfit with this stylish pair of wedges from the house of Ceriz. Its upper part has been made of good quality artificial leather material, which lends it a nice finish. It has a soft footbed, which will keep your feet at ease throughout the day, while the buckle fastening makes it pretty convenient to wear. Look classy when you wear this pair of wedges with any of your favourite outfits. It will look great with any pair of jeans along with a cool t-shirt.